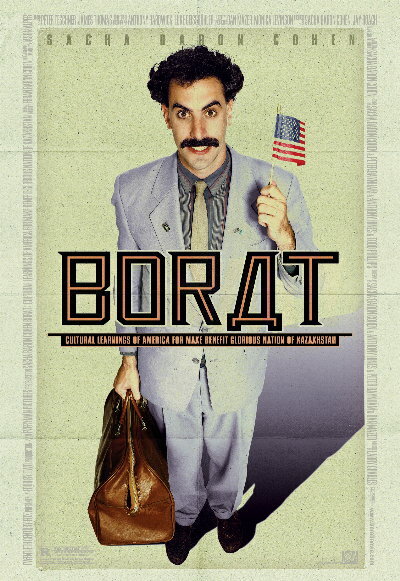 The Kazakh TV star Borat is send to the United States to report on the greatest country in the world and how their politics could benefit Kazakgstan. During the documentary, Borat becomes more interested in locating and marrying Pamela Anderson. A bit funny, but also a bit embarrassing. I wonder how much of it was stages and how much was real. I think it's just one of those movies that you both love and hate at the same time.